There are many extraordinary shopping opportunities in Avalon. Stroll along the scenic waterfront and discover quaint shops and boutiques, offering everything from island apparel, to artisan wares and works by local artist to ice cream and candy stores. Most of Avalon’s shops are nestled within the a few city blocks, making shopping in Avalon a pleasant walking experience to enjoy after dinner, or as part of a romantic waterfront stroll along Crescent Avenue. Be sure to check out Shops at the Atwater and Avalon General Store, which offers a great selection of unique gifts, beach accessories, and other necessities for those warm days, like sun screen and cool beverages. Catalina Island Retail Carts offer Catalina Island souvenirs, like logo hats, bags, t-shirts, sweatshirts and unique jewelry. Shop our Online Store for gift cards, books, plush animals and Official Catalina Wine Mixer gear! 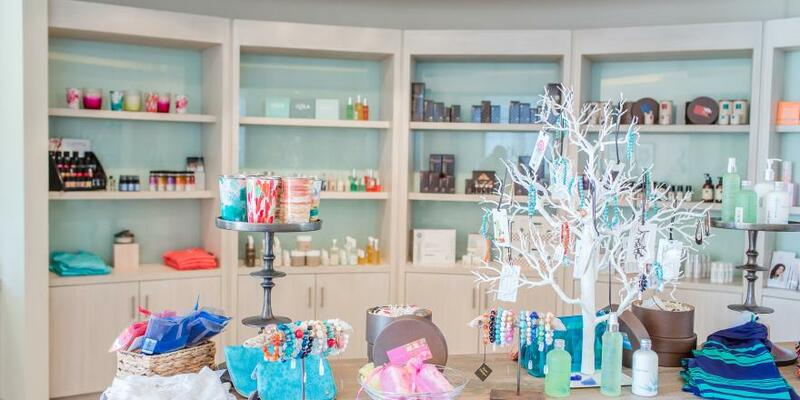 Or shop Island Spa Catalina&apos;s Spa Shoppe for a wide variety of apparel, cosmetics, hair care products, candles, jewelry, gifts, accessories and more.